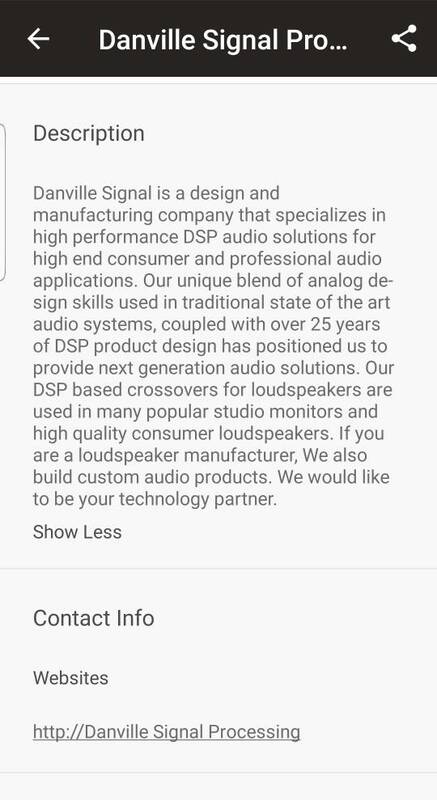 The most interesting potential product at Axpona 2019 had to be from Danville Signal (https://www.danvillesignal.com). They had a prototype of a product that is an active speaker crossover, 8 channel DAC and room correction in a $3,000 device. This particular forum sub-section is for discussing 'Surround Music Formats', not hardware playback products and devices! Bill Mac and kevin j like this. the reason that i posted it here is that this device is also an 8 channel AKM based DAC with a USB input. There are very few options for playback of multi-channel audio particularly for $3000 or under. Where would be a better place to post this? It would be best posted in the Receivers, Amps and Processors sub forum. The device would get better exposure over there. I personally have no need for that device but maybe others might.